One of the many reasons that bankruptcy can be such an effective and powerful debt relief option is because of something known as the automatic stay. In this two-part blog, we will discuss some of the main features of the automatic stay and how they can help you when you file for bankruptcy. 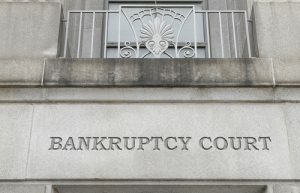 Automatic stays in bankruptcy can provide you with court protections from creditors as soon as you file for bankruptcy. If you have questions about whether filing for bankruptcy is the best course of action for obtaining debt relief and are ready to get more specific answers regarding your situation, you are encouraged to contact Denver Bankruptcy Lawyer Arthur Lindquist-Kleissler. It’s important to note here, however, that if a wage garnishment has already gone into effect (or if your assets have already been repossessed or a judgment has already been issued against you in a lawsuit), automatic stays cannot reverse these actions. Therefore, it’s crucial that people who have been warned of such actions by creditors seriously consider filing for bankruptcy to prevent creditors from being able to move forward with these punitive actions. The protections provided by automatic stays in bankruptcy will be effective as soon as a person files for bankruptcy. This is a powerful aspect of these court orders, particularly when people are facing imminent action by creditors. Be sure to check out the upcoming second part of this blog for more important information about automatic stays in bankruptcy. Since 1979, Mr. Lindquist-Kleissler and the other legal professionals at Lindquist-Kleissler & Company, LLC have been successfully representing both individuals and businesses seeking debt relief through bankruptcy. From simple to complex bankruptcy cases, Mr. Lindquist-Kleissler can always be trusted to maximize utilization of Colorado Bankruptcy Law to effectively guide his clients through bankruptcy and help them achieve the best possible outcomes to their cases.